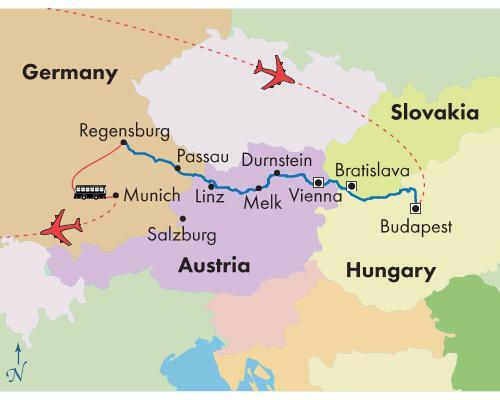 Budapest to Regensburg: Passengers arriving to Budapest on Day 2 should select flights that arrive no later than 3:00 pm. Passengers returning from Munich on Day 9 should select flights that depart no earlier than 11:00 am. The Munich airport is approximately a 2 hour drive from the Regensburg port.